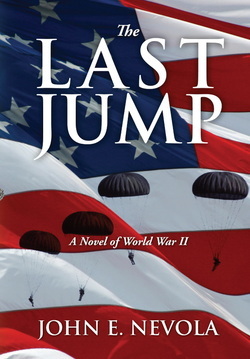 John E. Nevola makes his literary debut with The Last Jump, a historical novel based on United States airborne operations in Europe during World War II. The study of this conflict has been the author’s lifelong passion and he weaves a compelling tale of courage and sacrifice set in a historically accurate backdrop in an extraordinary time in American history. A retired Information Technology executive, Nevola has been widely published in business magazines with numerous articles on disaster recovery and terrorism. He authored a column for a military newspaper while serving in the United States Army and is a member of the Military Writer’s Society of America. Nevola was born in New York City and is a graduate of Cardinal Hayes High School and the College of Aeronautics. He resides in Mount Olive, New Jersey with his wife of 45 years. They have four children and six grandchildren. Some proceeds from The Last Jump are donated to assist families of the fallen. A mother's last dying wish propels her only son headlong into an unexpected adventure as revealed in The Last Jump. Fact and fiction intermix seamlessly as he endeavors to unravel a secret passionately guarded by four old soldiers who swore an oath never to reveal it. The Last Jump is a war story, a mystery, a love tale and a narrative of valor and honor about the gritty men and women who won World War II. The reader is transported back to a time when Americans stood shoulder to shoulder in defense of their nation. It was an imperfect America, with all its incredible virtues and vexing shortcomings, that struggled with racial and gender issues while fighting for its very survival. As our protagonist reaches out to these aging veterans to solve the puzzle, he uncovers truths he could never have imagined including the shocking conclusion.